Fox 479 vs. 599: Which one is the knife you should buy? Originally from Southeast Asia, Karambit has become a well-known style of knife with plenty of applications. It’s greatly appreciated as a self-defense tool but you can use it like an EDC knife as well. Base on the traditional design, FOX Knives has released a couple of updated Karambit knifes for modern uses. Some of the most notable examples of the FOX Knives Karambit would be the Fox 479 and Fox 599. 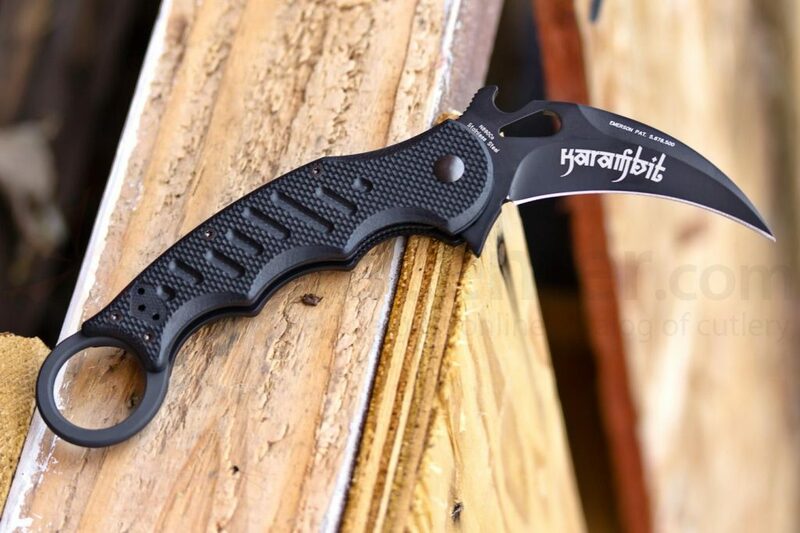 If you are about to purchase a Karambit, you should definitely look into these excellent knifes through this article right here. It’s essential to know that there is no such thing as the best knife for everyone. Personal preferences vary a lot from to another and therefore the opinions on one particular product. Many peoples may feel one knife to be the best option around yet it doesn’t mean the knife is good for you. That is why you don’t ever make a purchase on a whim, especially when you know little about your choices. Compare the characteristics of the knifes to your own needs and requirements then make the decision accordingly. This is how you can be certain that your investment is well-spent money. Spending on an unknown product could potentially cost you a lot for no gains at all so be careful and stay focus. From the first glance, you can tell that the Fox 479 is both slightly longer and heavier than the Fox 599. Hence, the 479 got a more noticeable profile with a considerably large handle. On the other hand, the 599 is the smaller of two but its handle is fairly decent for most people to have a tight grip. For the rest, the 479 and 599 are more or less the same with N690 Steel in the blade and Liner Lock for the locking mechanism. 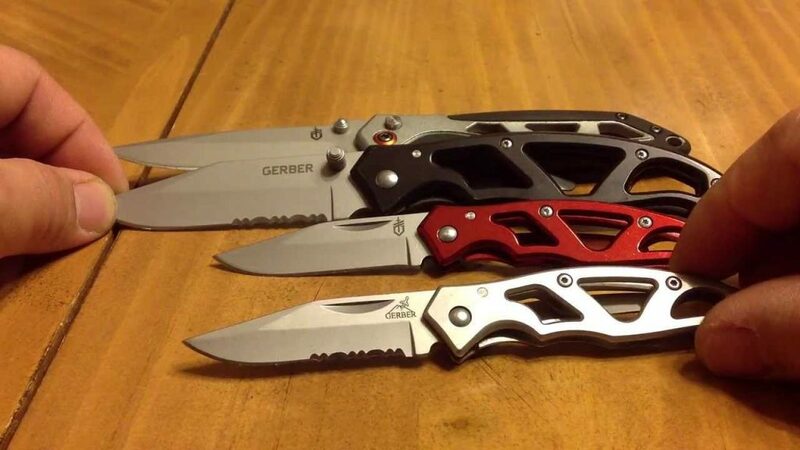 These knifes are compact enough to slide in your pockets without much difficulty and they weigh quite little too. Fox 479 possesses a G-10 scales handle that is light and permits a tight grip on its surface. Whether you wield the knife in a regular or reverse grip, you always have a comfortable time holding the knife. To further secure the knife, you can utilize the retention ring by inserting your index finger or pinky through it. You might feel the handle of the 479 to be a bit big but it’s actually average. The size of the handle shall come in handy when you are wearing a pair of gloves. In that case, small handles will cramp your fingers and make it hard to use the knife. The presence of Teflon texture on the Fox 599 handle helps secure the knife in your hand and your pocket as well. Its size is sufficient to be used conveniently by most people in the average case though not as good with the gloves on. For the rest, the 599 handle is similar to its 479 counterpart with retention right, grooves and pocket clip. If you prefer to have the most compact Karambit which you can use with your bare hand then the 599 handle should serve you well. However, should you have a big hand or you want to use the knife with gloves, this could be inadequate. With a classic Karambit curved blade that resembles a claw, Fox 479 permit high precision cuts and fluid movements. Thanks to the qualities of N690 Co Stainless Steel, the 479 blade have respectable resistance toward corrosion and hold an edge well. When a need arises, you can readily deploy the blade by manipulating the wave-shaped protrusion on the blade spine. This can be done by hand or by catching the protrusion against your pocket interior for lighting deployment. The latter is usually employed when you need to get the blade out as soon as possible, especially in a critical situation. Fox 599 blade is pretty much the same as Fox 479 though with a different dimension and thickness. It also uses N690 Co Stainless Steel in its construction, as a result, general resistance and edge retention rate are excellent. The curved design did have several drawbacks nerveless, it’s good for slicing and alike but not for stabbing. Sharpening a Karambit blade is quite different from a usual drop point knife, you may have to do some research beforehand. It’s not exceptionally difficult to restore the curved blade sharpness so no need to worry too much. Fox 479 and Fox 599 all utilize the Liner Lock which is a simple yet reliable mechanism. A Liner Lock mechanism let you operate it with only one hand at a moment’s notice without the need of repositioning. The side spring design keeps the blade safe until you want to get the blade out intentionally. This minimizes the chance that the knife might deploy on it own without user input. It is self-adjusting for wear, you can use the knife for a long time before the Liner Lock mechanism started to malfunction. And that is most of the information you should know about these knifes, pretty easy to understand, right? Fox 479 vs. 599, it’s not easy to tell which one is better if you don’t clearly know about them. Yet with the information above, now you have a firm grasp on their features and specifications. The only thing left to do is crosscheck them with your preferences then see which one can match your better. Do this right and at the end of the day, you will have a nice Karambit at your disposal.